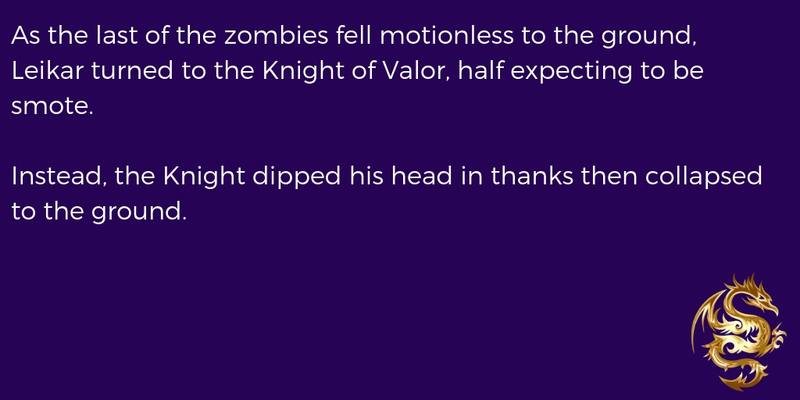 As the last of the zombies fell motionless to the ground, Leikar turned to the Knight of Valor, half expecting to be smote. Instead, the Knight dipped his head in thanks then collapsed to the ground. Leikar knew zombies and knew how to fight them. Most important thing was to keep them from getting too close to spread their contagion. His fire spells did just that, and this kind of undead followed orders absolutely. They would continue charging headlong into the flames unless their master commanded them otherwise. 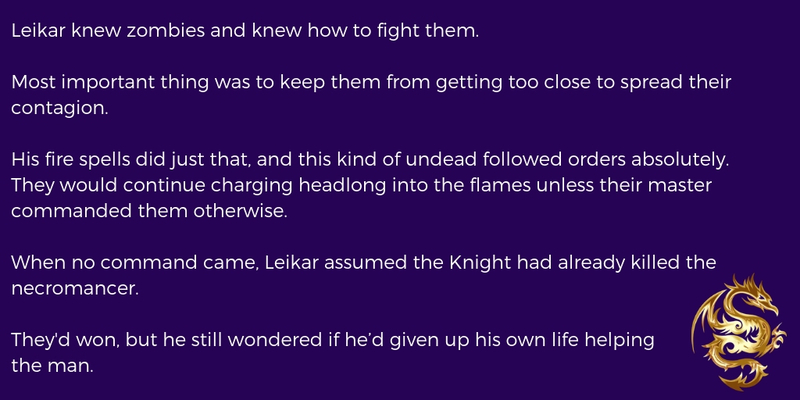 When no command came, Leikar assumed the Knight had already killed the necromancer. They’d won, but he still wondered if he’d given up his own life helping the man. 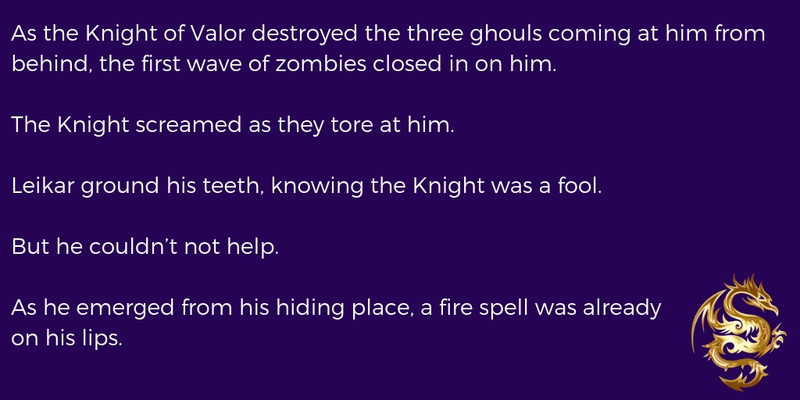 As the Knight of Valor destroyed the three ghouls coming at him from behind, the first wave of zombies closed in on him. The Knight screamed as they tore at him. 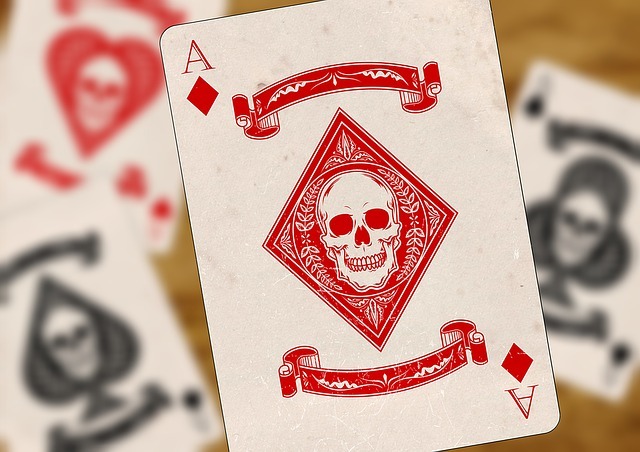 Leikar ground his teeth, knowing the Knight was a fool. But he couldn’t not help.